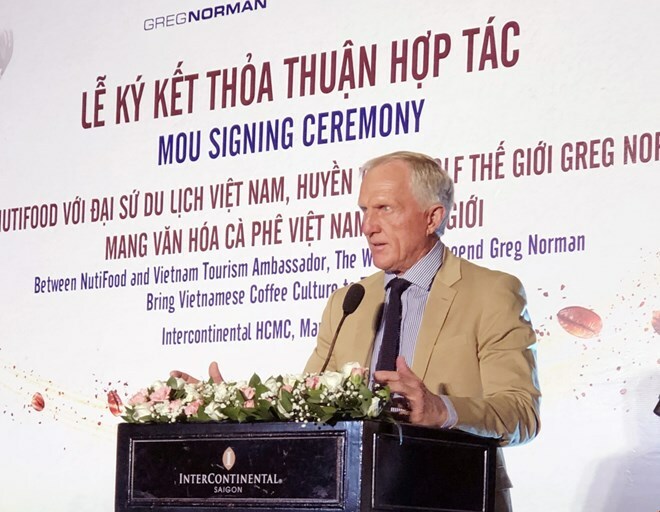 HCM City (VNA) – The NutiFood Nutrition Food JSC and golf legend Greg Norman – Tourism Ambassador of Vietnam for 2018-2021 – inked a cooperation deal on March 20 to popularise Vietnamese coffee to the world. Under the memorandum of understanding, the two sides will set up a joint venture named Greg Norman NutiFood based in New York. This joint venture will also open Greg Norman NutiCafé coffee chains in Vietnam and other Asian countries first before expanding to the US.